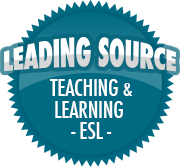 Reflection | So, You Think You Can Teach ESL? I’ll sometimes use student reactions or feedback to aid reflection. In my case this works because I teach adults. Also, where I volunteer, they have tutor and student reflection journals, to be filled out at the end of each class. This also provides some valuable opportunities for reflection, although one would have to read between the lines in the student journals as the students are usually quite positive no matter what.